While the world at large may have poo-pooed the 'phablet' at first glance, Samsung's sales figures show that these big-screened phones are becoming more and more popular with every passing iteration. 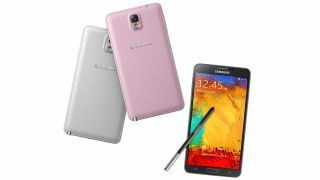 The Samsung Galaxy Note 3 has blown previous Notes out of the water by hitting 10 million sales within 60 days of going on sale, which isn't making anyone more enthusiastic about calling it a 'phonblet'. It joins such Samsung handsets as the SGH-T100, SGH-E250, Samsung Galaxy S, S2, S3, S4 and Note 2 in the Samsung 10 Million Sellers Club which isn't so much an exclusive club as a list of phones Samsung has made. The Note 2 did pretty well for itself too, hitting 30 million sales back in October 2013 after going on sale a year before - at the Note 3's current speed, it should out-do its predecessor quite comfortably. Attentions understandably turn to future Samsung products, with the Samsung Galaxy Note 4 presumably currently in development - we don't expect to see that get its big unveil until IFA 2014 which, mark your calendars, kicks off in September. Not so long to wait for the Samsung Galaxy S5, though, which should be birthed after MWC 2014 in February, at which point we may also be treated to a Galaxy Note 3 Lite.